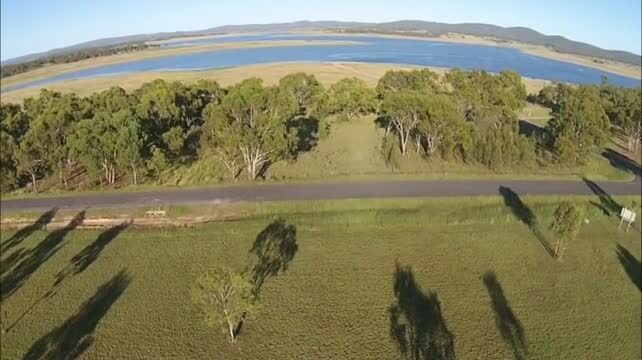 Lake Leslie Tourist Park, in the heart of Darling Downs, Queensland. Read the glowing reviews and testimonials campers have left for Lake Leslie Tourist Park in our guestbook. Perfect holiday, had a great time. Had a good time. We'll be back. Great New Years and stay, excellenta! Cheers! Awesome get-away. Will definitely recommend and will be back soon. Great area to bring the kids to enjoy the wilderness! We have had a great time. Adam and Frank have been marvelous. The toilets are always cleaned and I can't thank you enough for the priviledge of staying here - and besides, I also caught some yummy fish! Four wonderful days with my son. Had a great time. Recommend as a good family holiday. Had a fantastic time, very friendly people. Great place, awesome people, great times. Great place to stay, lovely people, come back some day. Great holiday. We will be back. Fantastic stay, great New Year, very clean amenities, most of all, wonderful staff! All the very best, and thank you so much for everything. Lovely spot, well run, had a great time. Great time, great amenities, very helpful. Thanks a lot. Host & hostess with the most. Great stay, will recommend. Happy New Year! Fabulous place to visit... everyone so accomodating. Will be back! Great place for camping with all amenities in a scenic place. Good hospitality, safe and secure. We had great fun with the kids. Love to come back again. Great holiday for the whole family and fantastic hospitable hosts. Will certainly return! Excellent holiday. Happy New Year, 2013! We'll be back. Had a great time, see you all next year. Clean amenities, friendly staff, loads of space for the children - what more could you ask for? Well done on a fantastic park. We will definitely be back on day. We have had the most amazing month here at Lake Leslie. Caroline is the sweetest owner/operator along with her dream boat husband, Adam. It really has been a pleasure to meeth them and become part of the family. We will be back in Feburary, March, April and maybe May. Nice, clean and tidy. A testimonials to parks. Great service, great attitude. Come back anytime, thanks very much. Thank you for a beautiful stay. You were beautiful hosts and made our stay wonderful. What a lovely stay. Will do it again. Nice quiet spot, thank you. Thanks for an enjoyable stay! See you next time. © 2017 Lake Leslie Tourist Park. All rights reserved. Website managed by Jadyn Thone.